We were building a new house and, realising the importance of lighting to the final finish and mood of our big dream project, decided that we didn't really like the architect's 'airport landing lights' rows of spots in the ceilings but weren't sure what to do instead. So we booked on one of Lighting by Plum's free workshops (advertised here on Houzz) to see what we could learn and came away bursting with ideas and possibilities. We had no real idea about the range of lighting on offer, the importance of ensuring uniform lighting shades and compatibility of switches to dimmers to ensure everything worked properly. We really warmed to Toria and Mike and, because of the scale of our project, decided that it would be money well spent to get their professional input. We are very glad we did. We now have very warm, welcoming, layered and interesting lighting in our brand new home and we are delighted with the finished product. 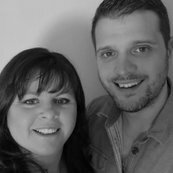 Toria and Mike were great at negotiating, ordering and chasing delivery of the various bits of kit required and we would not hesitate to recommend them.